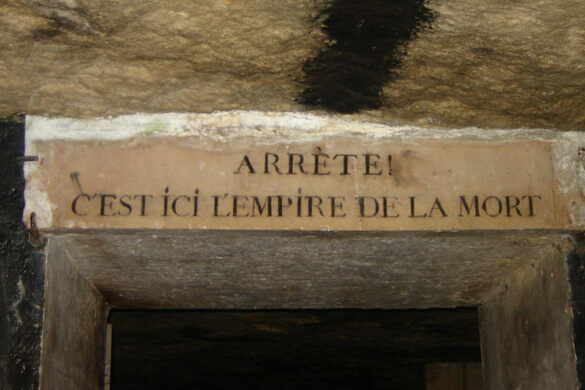 In 2004, Parisian police were assigned to do a training exercise in a previously uncharted part of the Catacombs of Paris beneath the Palais de Chaillot. 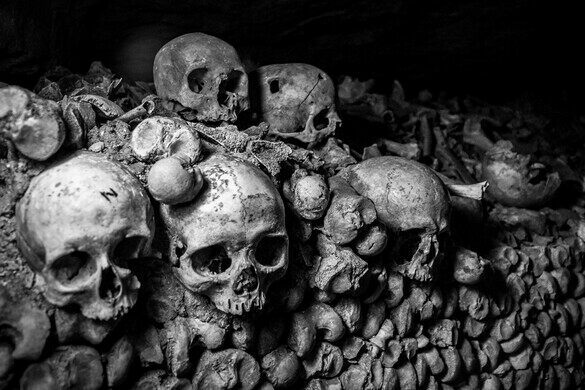 Entering the catacombs through a drain, officers first came across a sign that read “Building site, no access,” and a bit further in, a camera that actively recorded images of those who passed. As the officers approached the camera, a recording of dogs barking was triggered. 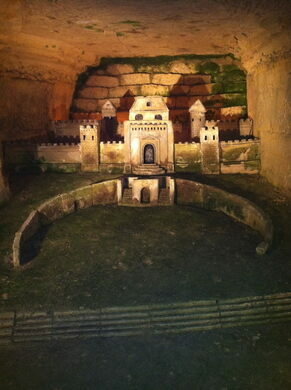 The police descended deeper into the tunnels and discovered a 500-square-meter cavern with a fully equipped cinema. It included a giant cinema screen, projection equipment, chairs and a handful of films, from film noir classics to recent thrillers. 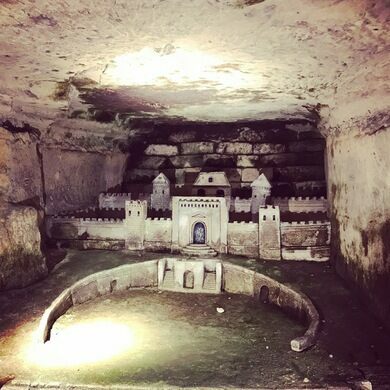 Someone had turned this abandoned underground cavern into a secret amphitheater. Aside from this, in the next “room,” police discovered a fully-stocked bar and restaurant, complete with tables and chairs. The discovery left police befuddled, not to mention the professional installation of electricity and three phone lines. 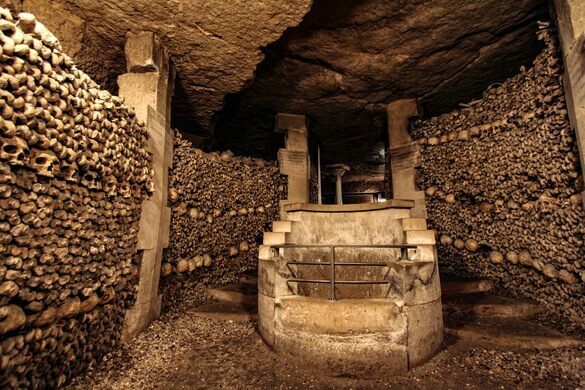 Quarry tunnels have existed on the outskirts of Paris since Roman times. 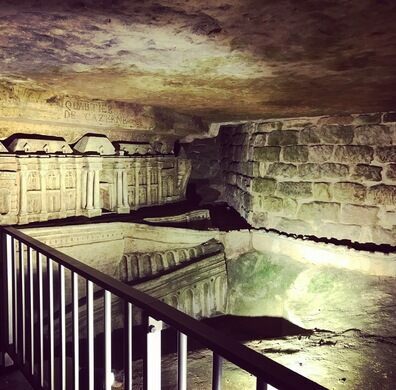 The limestone in these quarries built Paris as we know it today, and eventually, helped the city expand to the point where the quarries were directly underneath the busy metropolis. 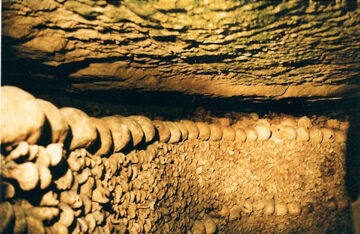 Some 200 miles of labyrinthine tunnels are believed to exist. 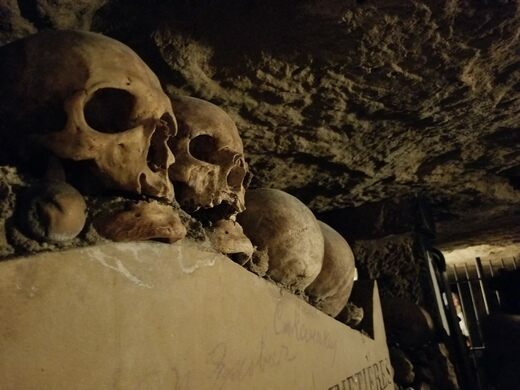 Despite the vast length of the tunneled, underground world, only a small section of it is open to the public. 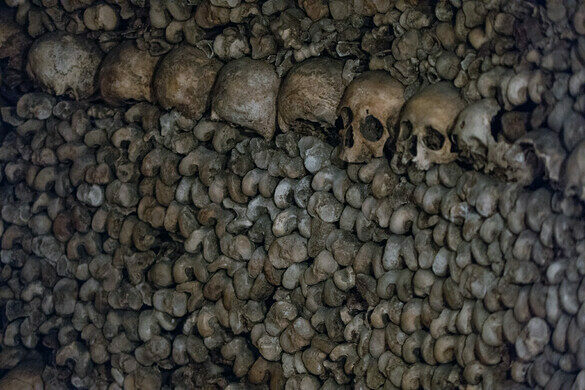 This tiny portion, known as Denfert-Rochereau Ossuary, or more popularly, “The Catacombs,” has become one of the top tourist attractions in Paris. 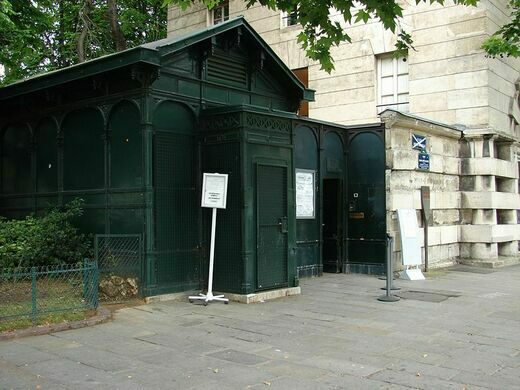 The popular site houses the skeletal remains of some six to seven million former Parisians. 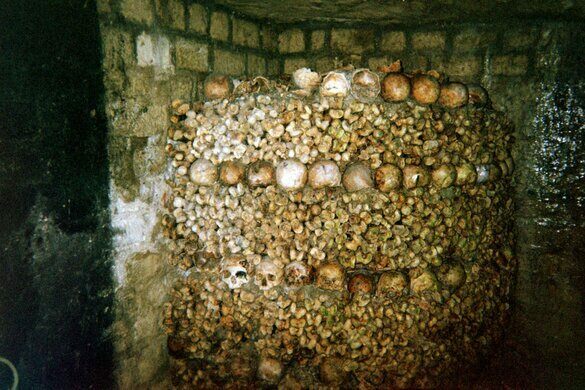 Not all areas of the Catacombs are open to the public. 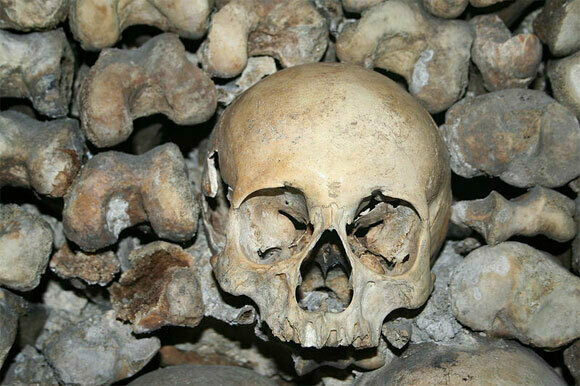 Back in the late 18th century, cemeteries were becoming over-populated. 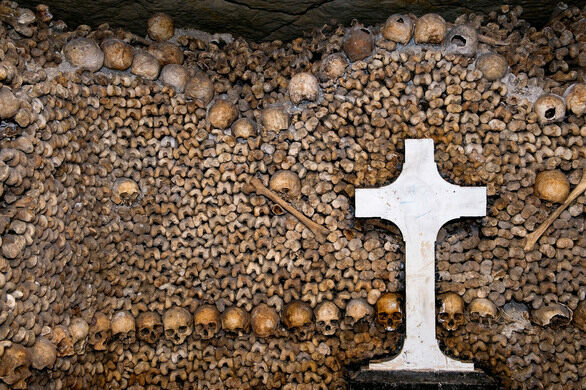 Cemeteries such as Les Innocents were so stuffed with the dead that it led to improper burials, open graves, and unearthed corpses. Neighbors began getting sick with infectious diseases due to the unhealthy conditions of the cemetery. 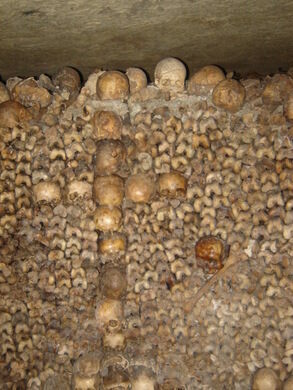 Les Innocents was not the only cemetery that was condemned. 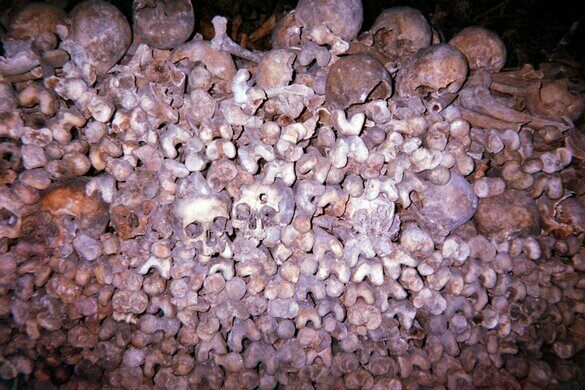 Many other graveyards were becoming overpopulated, causing problems for the inhabitants of Paris. 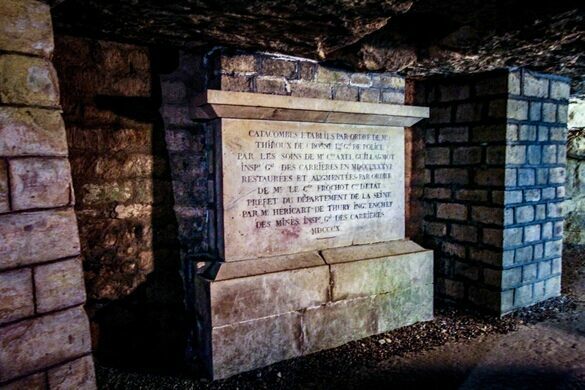 With tons of empty quarries, police and priests alike discreetly moved the bones to the renovated section of the tunnel over the period between 1787 and 1814. 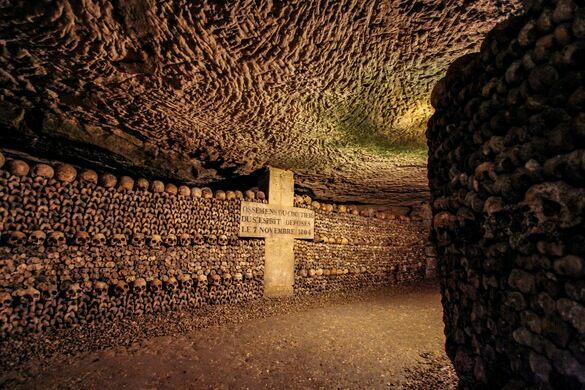 As some notable people were buried in those “crowded” cemeteries, it is likely that their bones were transferred to the Catacombs. 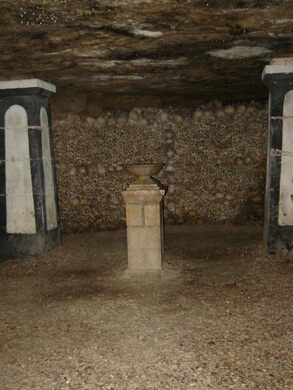 Some of the prominent Frenchmen who bones might be placed in the Catacombs are Charles Perrault (famous for Little Red Riding Hood, Puss in Boots, and Cinderella), Jean de La Fontaine (known for Fables), Simon Vouet (painter), Salomon de Brosse (architect who designed Luxemburg Palace in Paris), and François Girardon (sculptor). 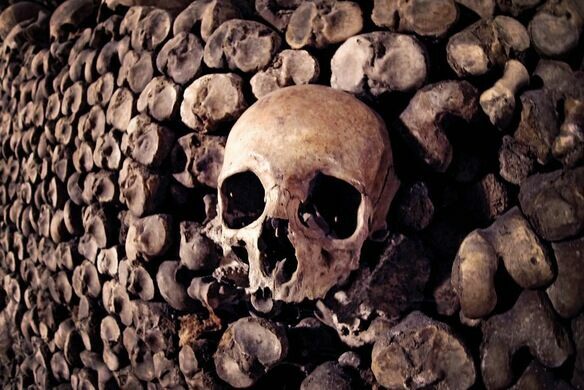 The Catacombs became a popular attraction for royal families and the people of importance and in 1867, the area was opened to the general public. 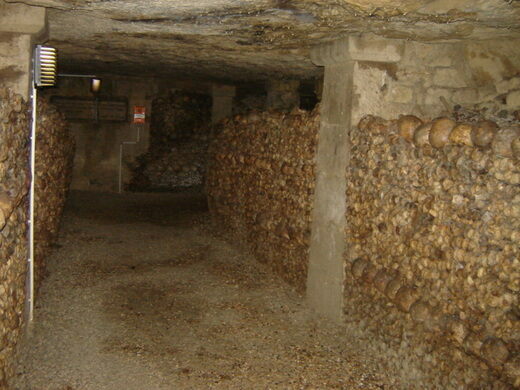 Due to their old age, the quarries not part of the official Catacombs have been deemed unsafe by Parisian officials. 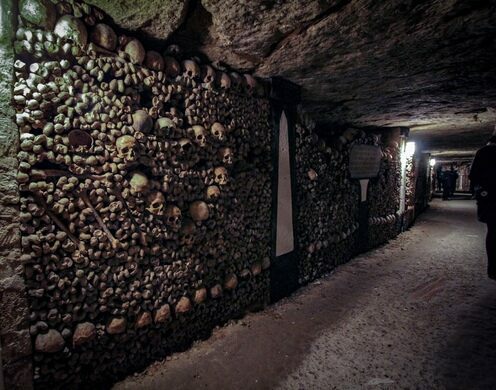 Nevertheless, the size and length of the tunnels make it difficult to keep secret societies, thieves, artists and the curious public from entering the dangerous network. 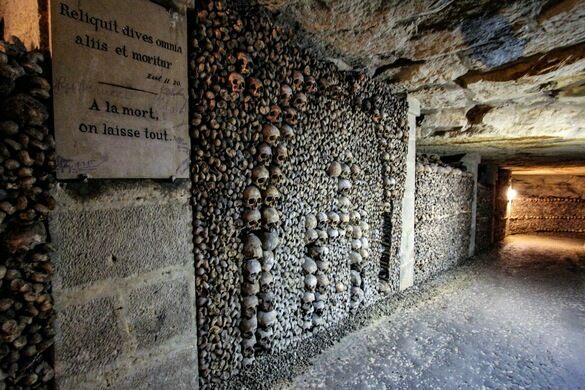 Due to vandalism and the theft of several skulls, the catacombs were closed from October 2009 through December of the same year. With the reopening of the site comes additional security and bag checks upon exiting. This is a popular attraction, and the wait to get in is often over an hour. To avoid the long line, purchase your tickets ahead of time. 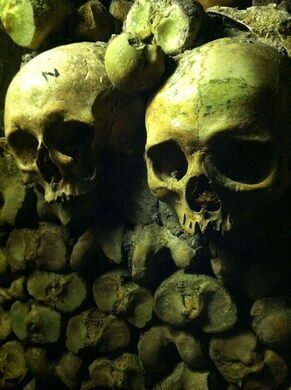 Another tip would be going there in low season and outside of French School holidays. 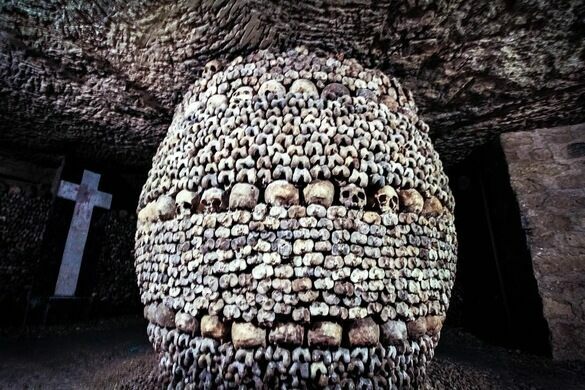 For safety and preservation reasons, it is forbidden to bring suitcases and luggage to the Catacombs. There are no cloakroom facilities on the spot. 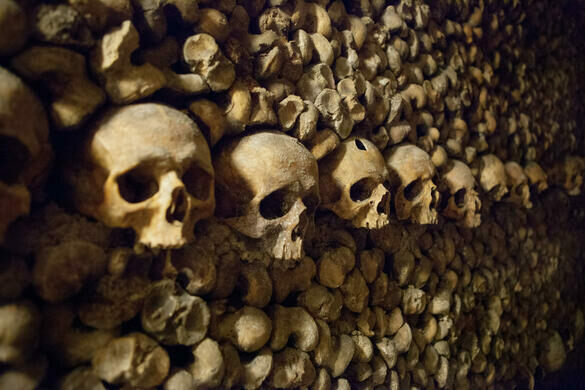 Skulls from the plague of 1656 and World War II bombings are united by a cult dedicated to caring for the ancient dead.